Thank you for supporting "The Speaking Hand". Do check out "The Unseen Sequence" - a full-length documentary featuring the Bharatanatyam dancer Malavika Sarukkai. Visit www.cinematixfilms.com for details. "The Speaking Hand" is the only full-length documentary that charts the incredible journey of the tabla maestro Ustad Zakir Hussain. Shot in the early 1990s - and unavailable for private download till now - it is an invaluable record of a musical genius at his prime. "It was in another life. The Gods were smiling on me. I met Sumantra and he saw something in me that I did not know existed. Together, we took a life-changing journey of self-discovery. For me, the process brought confidence to freely share the pure joy of my connection with this music. We were fortunate to have the presence of some of the greatest stalwarts of our tradition blessing us. The journey that started with the making of The Speaking Hand will, of course, continue; the learning will not stop. Where and when it all began to make sense is what The Speaking Hand is all about. Thanks, Sumantra, for believing in me." The Unseen Sequence is a full-length documentary on the Bharatanatyam dancer Malavika Sarukkai. Available for video downloading on this platform! You'll get one MP4 file. Thank you for supporting "The Speaking Hand". 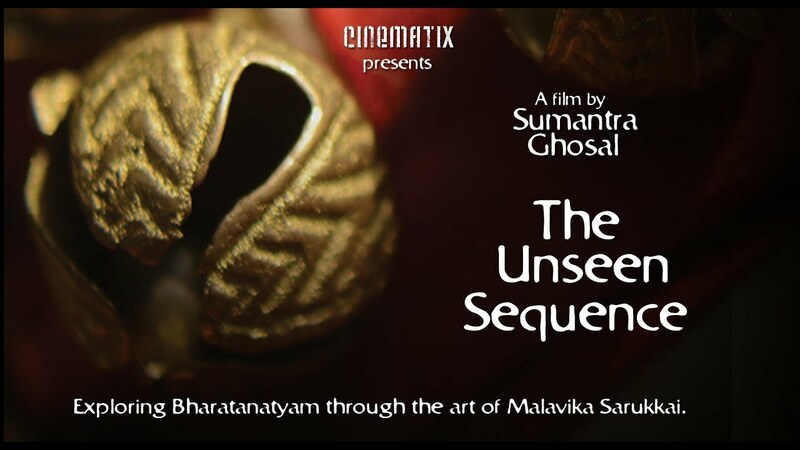 Do check out "The Unseen Sequence" - a full-length documentary featuring the Bharatanatyam dancer Malavika Sarukkai.